So I'm sure you're used to reading my monthly Love Me Beauty posts by now but just incase your new to my blog or haven't heard about this beauty box before, Love Me Beauty is a monthly subscription box with a difference. 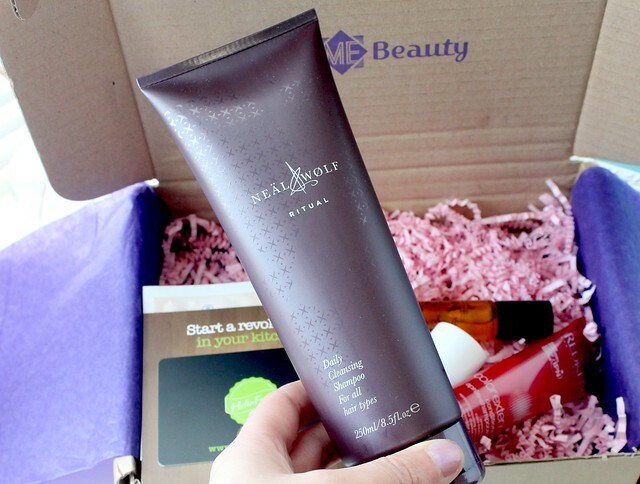 Unlike your standard beauty boxes that are a surprise every month (ususally full of products you didn't really want), Love Me Beauty allows their subscribers to choose from an option of three menus each month to ensure you're getting products you know you'll like and use. However, if you prefer the element of surprise, there's also a 'surprise' option you can choose instead. As if that wasn't great enough, they also offer subscribers the chance to skip a month (with no cost) if there isn't anything in that months box that takes your fancy. So basically what I'm trying to say is don't let the fact its a subscription box put you off as they're very flexible and you can cancel at any time! I was really happy to see a Models Own nail polish in this months box as they're one of my favourite nail polish brands and this shade, 'Fuzzy Peach', a muted coral, is perfect for S/S. As with all Models Own polishes, only two coats are required for full opacity. I can see this being my go-to Summer nail colour! 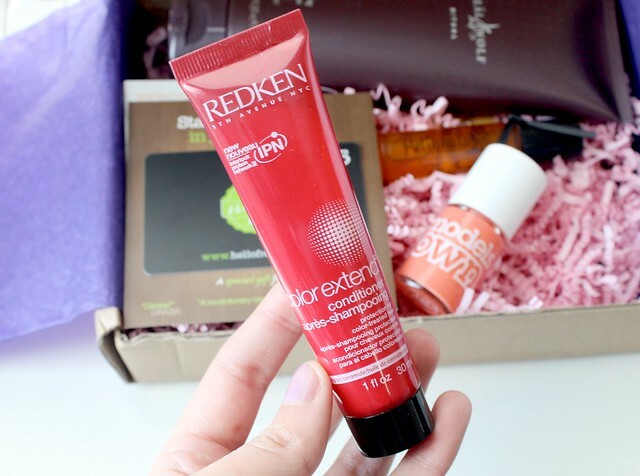 Having tried a few Redken products in the past and loving them, I was excited to see a sample of their colour extend conditioner in this months box. Its a fairly small sample (25ml) but it should last me two washes and its a great little size for travelling. I intend to take it with me on my trip home this weekend so I haven't tried it yet but I'm looking forward to. Its designed to help keep colour treated hair vibrant and fresh so its right up my bleached blonde headed street! A full size bottle of this costs a pretty reasonable £9.99 so if I do like it, I might be tempted to buy the full size! I've never heard of the brand Betty Hula before so I wasn't sure what to make of this product when I saw it in the box. However, after giving it a little go, I can confirm its absolutely lovely. Its a multi-purpose oil in a handy roller ball applicator that can be used on any areas of skin that need a boost of moisture. It smells very citrusy too which I absolutely love! I've tried this shampoo in the past and I really like it so I was happy to see this in this months box. It smells absolutely incredible and is very gentle on the hair. It removes any build up of product and leaves my hair feeling silky and soft. Neal & Wolfe say "an infusion of silk and milk proteins combine to boost vital moisture and reduce flyaway hair" and that "Liquid shea extract delivers brilliant shine" and I couldn't agree more! Love Me Beauty boxes usually contain five products so when I saw each menu only contained four this month, I was a little bit confused. However, when I received my box and saw this voucher, I realised that this is the fifth item and its a bloomin good one too! As you probably know by now, I love cooking and would consider myself a bit of a 'foodie' so this gift card couldn't be more perfect for me. 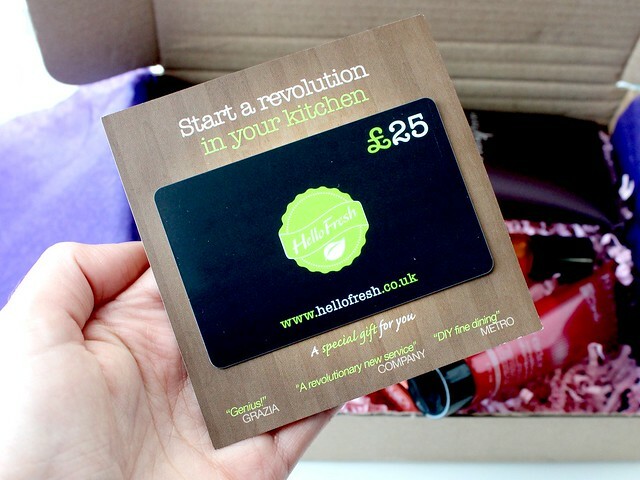 Hello Fresh is a unique service that delivers fresh ingredients to your door, along with recipe cards so you can follow them step by step and make a whole host of delicious meals. A box for 3 nights worth of meals for 2 people (the one I'm going to order) costs £42 with free delivery so I only have to pay £17 with this voucher which is total bargain when you think about it. Three nights worth of delicious new meals to try - I can't wait! Love Me Beauty popped a couple of sachets of this massage oil in as an extra this month and although I don't have stretch marks, this will be nice to use to give my body a boost of moisture. I wasn't overly excited by this item but its a nice little extra regardless. As you can see - Love Me Beauty have really delivered once again and I couldn't be happier with the contents of this months box. I'm particularly excited by the Hello Fresh voucher - me and my boyfriend have already been stalking their website and the food on offer sounds delicious so we're looking forward to dining like kings next week! For only £9.00 with my 10% discount code 'CG10' (pop it in at the checkout to receive the discount), this really is too much of a bargain to be missed! All Love Me Beauty boxes have a value of £35.00 or more so you can be rest assured that you're getting fantastic value for your money! Which is your favourite product in this months box? Have you subscribed yet? I keep reading great things about the Love Me Beauty box, and having been a bit disappointed with other beauty boxes recently I'd definitely like to give this a go. that nail varnish looks so pretty! this looks like a great box - i've never signed up for any of them! Love the colour of the nail polish! 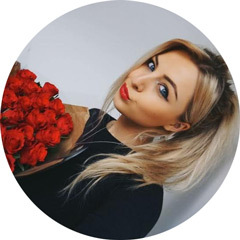 Love me Beauty boxes look great, I always mean to subscribe but never get around to it! I've wanted to sign up for a while.. this might've just persuaded me! haha ! All the products look amazing!